Access Control Security Door Systems for businesses of all sizes. Suited for interior or exterior applications, on metal, or nonmetal environments. Newer thin keyfobs, or glossy white customizable card credentials for contactless smart card capabilities. Electric Strikes, used with ADA compliant push actuators, an more… we provide door security solutions. Whether you are putting in a stand alone electronic lock on a single security door, or you are a facility manager adding many Card Readers and electric strikes to a school, a hospital, business, government entity or manufacturing plant, we are here to help with product selection and installation, training and service. 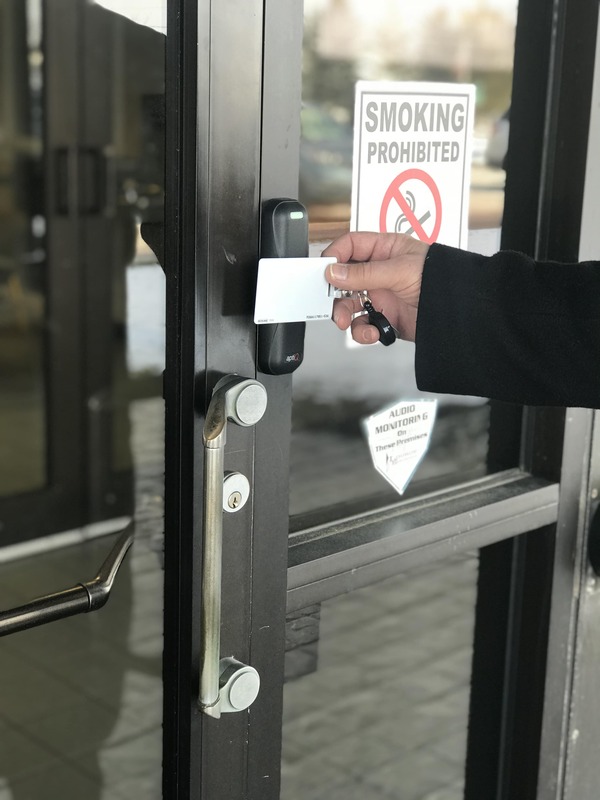 No matter what the size of your business or facility needs, we provide exptertise on electronic door hardware, multi-technology card readers and software integration. Consider FBH Architectural Security your resource for access control installation of all things door related. Serving Southeastern Michigan with offices in Flint and Ann Arbor. 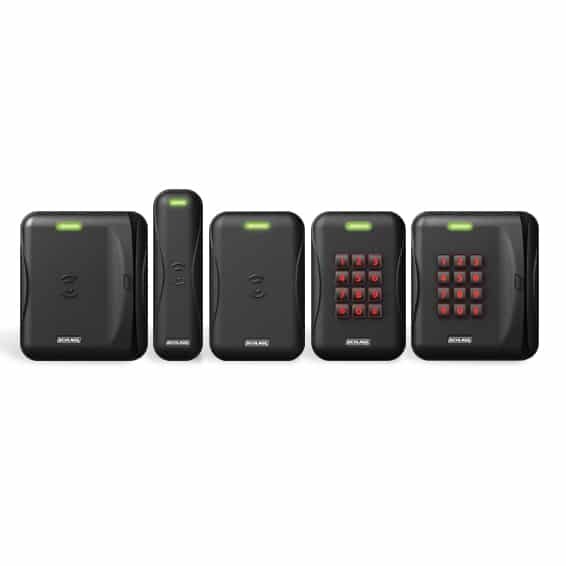 Call 810-239-9471 to speak with a door security sales consultant. We know that your door security needs are important to you. With over 64 years in the door and hardware industry, FBH is one of the most trusted distributors and installers of Access Control Door hardware and software integration in the industry. Our experienced application consultants hold certifications by the Door and Hardware Institute and have many other unique certifications regarding door electrification, fire door inspection, mechanical lock service and also software integration certification. Call FBH -We do the heavy lifting for you.